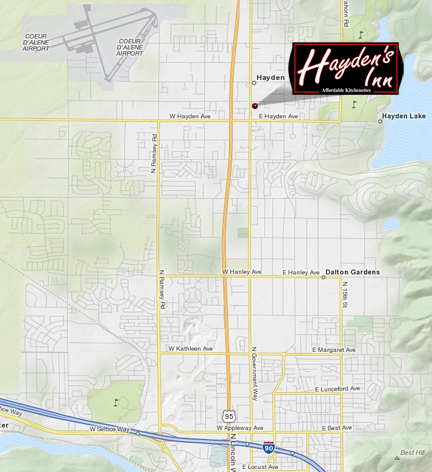 Hayden's Inn is conveniently located close to golf courses, lakes, amusement parks and more. Below is a map showing our location and the surrounding area. Click on the map below to view a more detailed and printable version of our map. 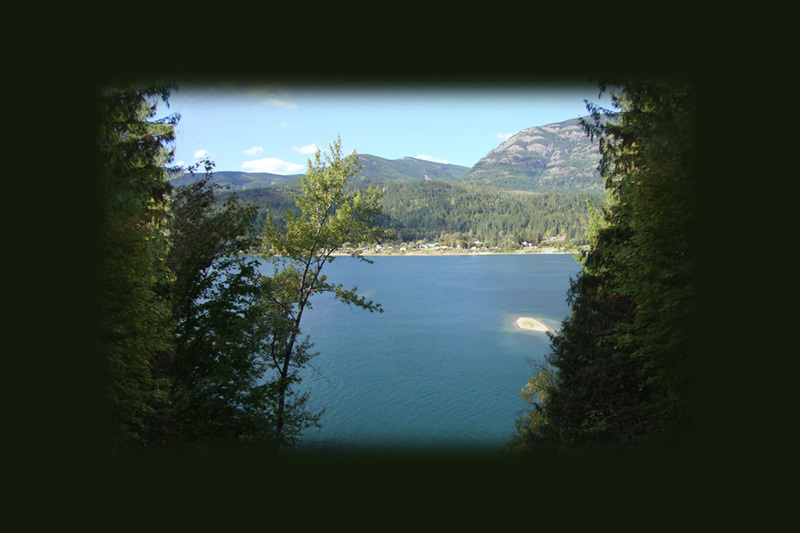 FROM EAST (I-90): Take exit 12 to Highway 95. Turn right on Highway 95 going north to E. Hayden Ave. Take a right on E. Hayden Ave. and travel east 1 block to N. Government Way. At the light turn left on N. Government Way and we are located about 1 block north on the right side. 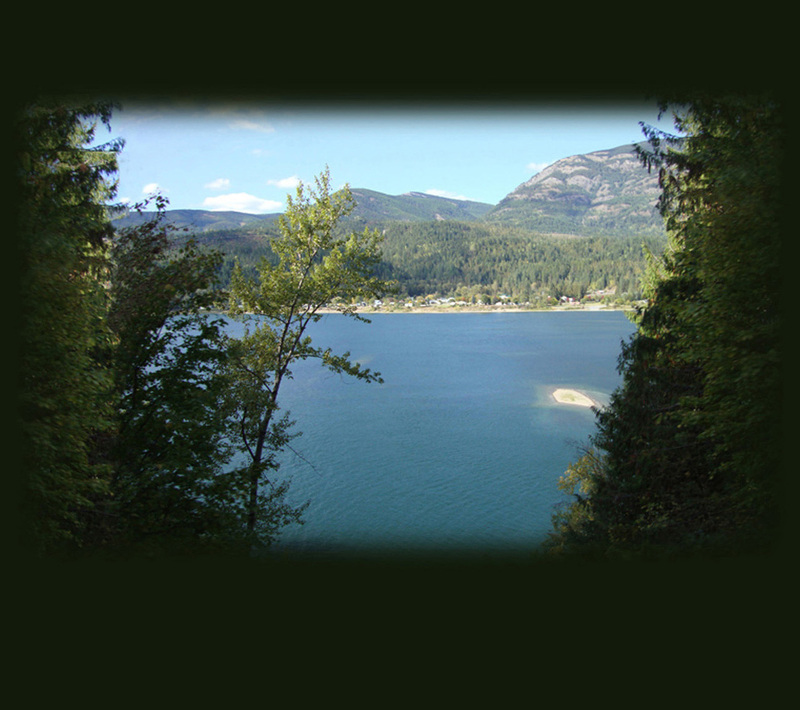 FROM WEST (I-90): Take exit 12 to Highway 95. Turn left on Highway 95 going north to E. Hayden Ave. Take a right on E. Hayden Ave. and travel east 1 block to N. Government Way. At the light turn left on N. Government Way and we are located about 1 block north on the right side. 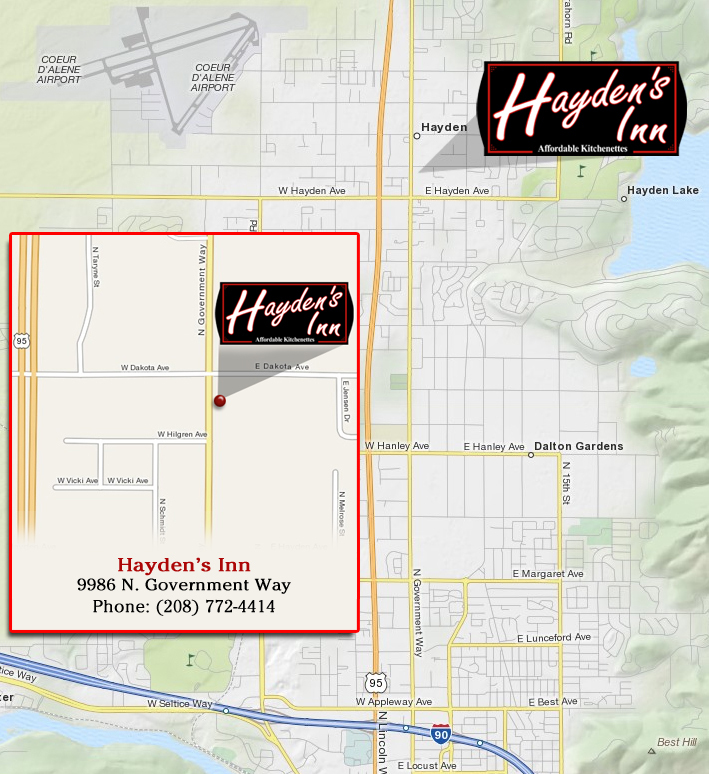 FROM NORTH (Highway 95): When entering Hayden, Idaho, turn left on E. Hayden Ave and continue east to N. Government Way. At the light turn left on N. Government Way and we are located about 1 block north on the right side.